Am I the only one who hunts down polishes, gets really excited when you finally order them, jump for join when they're finally in your hands and than has them collecting dust in their stash for oh, I don't know how long without ever wearing them? 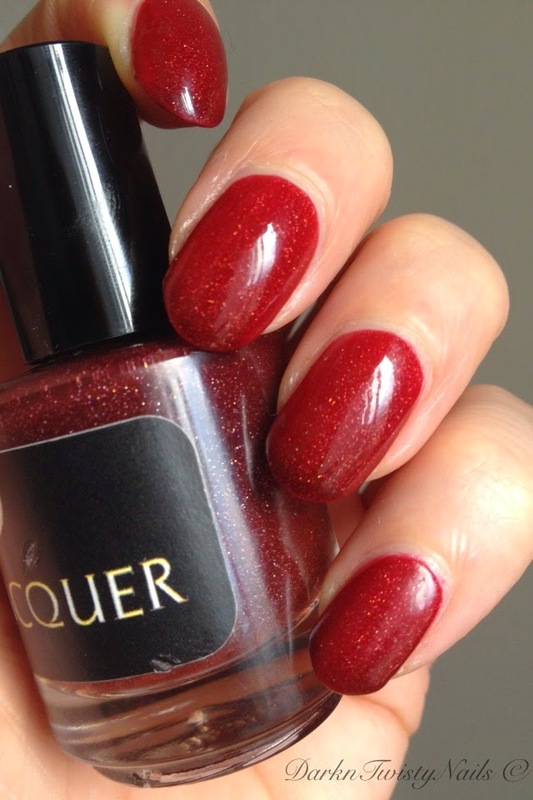 Well... today I have one of those polishes to show you and boy am I sorry I didn't wear this sooner! 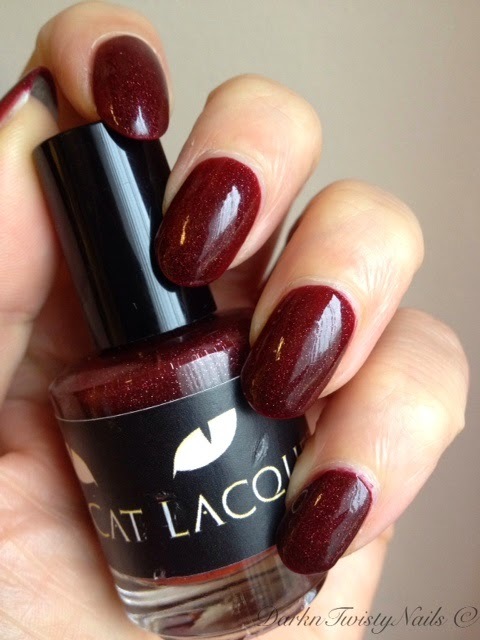 Black Cat Lacquer Poison Apple is a thermal polish that goes from a bright red to a dark vampy red AND has a gorgeous scatterd holo in it. The formula was a little on the thicker side, but still very easy to work with. Opaque in 2 coats and it dries fast and shiny. It's really smooth on its own, but I always add a layer of top coat to protect and prolong my mani. Cold on the left, warm on the right. This is such a cool polish! It changes color frequently and easily, I just can't stop playing with it. I absolutely love the cold color, but I like it the most when it's in transition. Luckily for me, that's what it looks like most of the time, a cool French mani with darker tips. The scattered holo gives it extra depth and dimension, I think Black Cat Lacquer nailed it with this polish and I'm sure some of the other thermals are going to make it to my stash very soon! 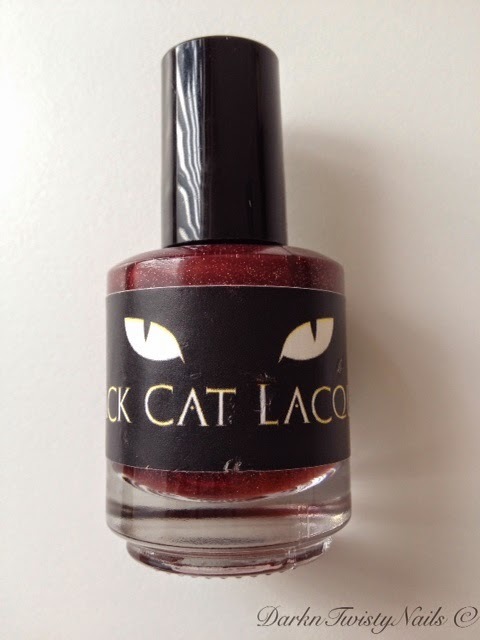 Black Cat Lacquer is available on their site, Llarowe and MeiMeiSignatures. 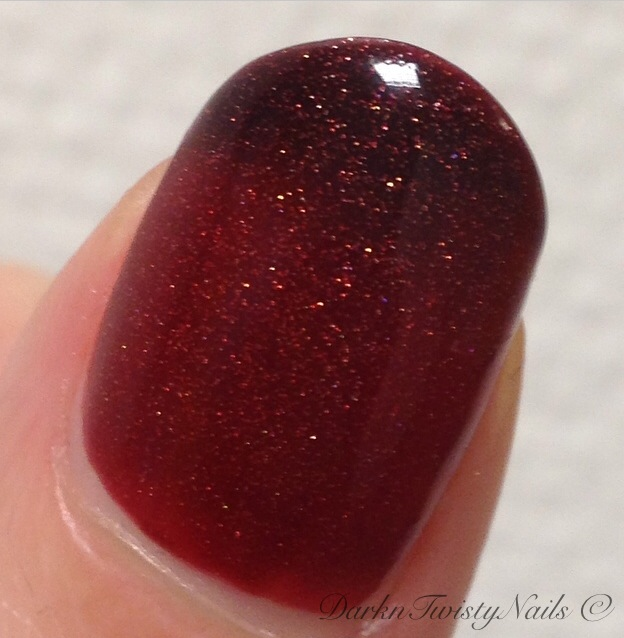 What's your favorite thermal polish and do you keep playing with it like I do? Just gorgeous on you Anca and you are not alone... I do the same thing! Worth every penny denk ik? Hij is prachtig!